For me, I get up early and write whatever I want for a couple of hours — either journaling or writing a draft of a poem or short fiction chapter on the computer. I love this time every morning. And I wouldn’t miss it for the world. Speaking of the world, it’s adjusted to my revised schedule. . . . Ever since 9/11 when all those early birds to work lost their lives, I don’t go to work til noon. I put in my eight hours, but not starting at 8:45 or 9 am. Makes sense right? Life is short enough; let’s not make it any shorter. 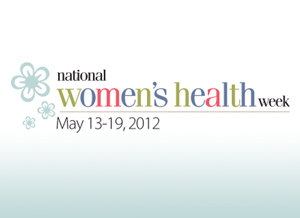 Happy Women’s Health Week! Hope you give yourself some time to celebrate!